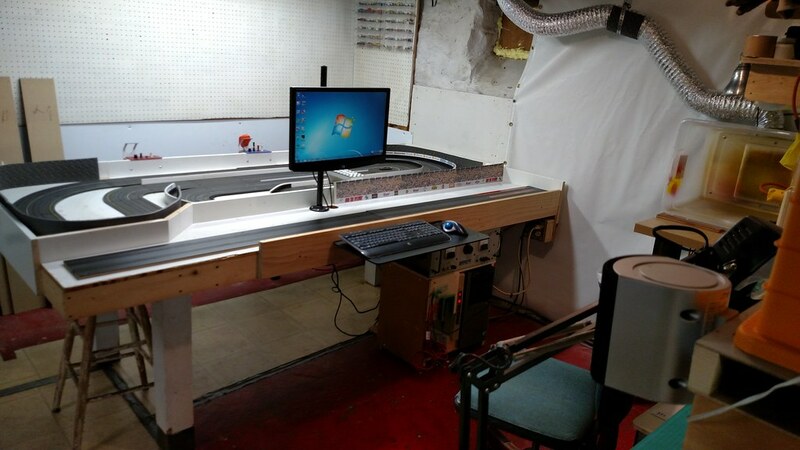 Here in about a week and a half maybe two, I'll be tearing down the Drag Track and removing a couple tables in order to get the new HVAC equipment installed. 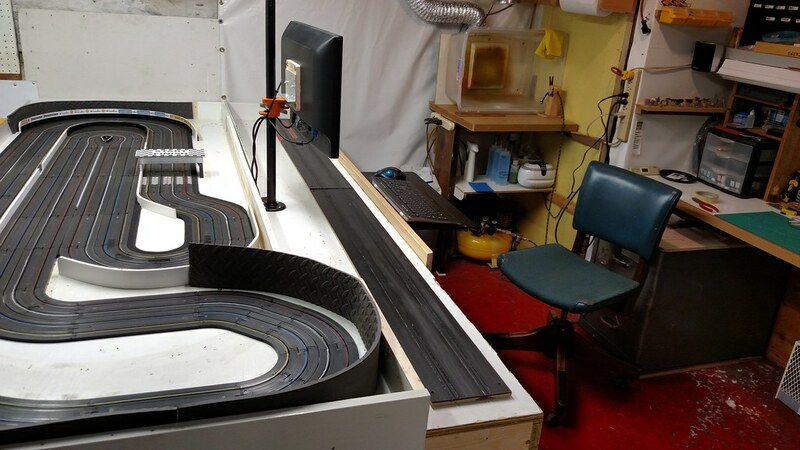 I will have to pull the rails out of the track and that will pretty much ruin the slots as far as a re-install goes. So I been spending some time thinking about the new track I'll be making. I'll be using stitching wire this go around with a lock wire. 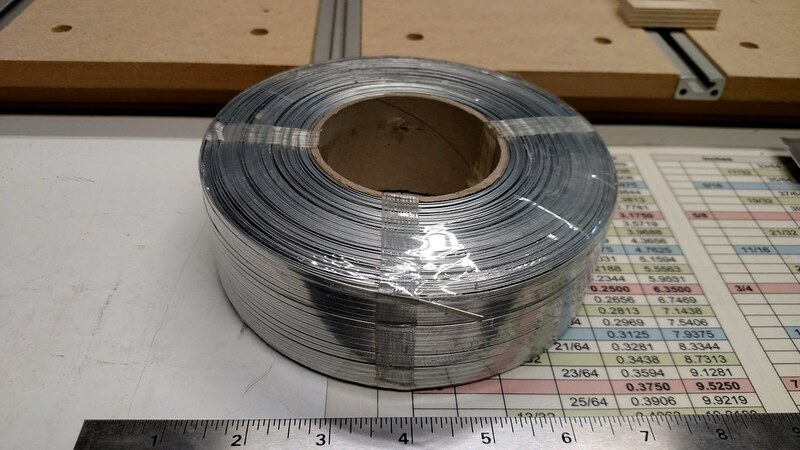 Finally located a single roll of .103" x .020" stitching wire so didn't need to buy a whole case of the stuff, lol. It's really easy to solder jumper wires to (a big plus) and thru some preliminary testing it looks as though some .050" trimmer line will be perfect for the lock wire in a .0625" slot. Still more testing to do. 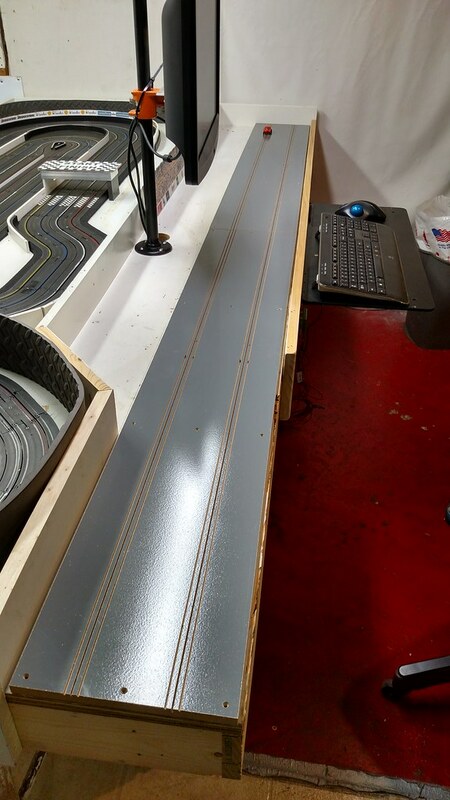 So with all that being said; what is the optimal rail height for an HO 1/64 drag track? I looked at the proxy tracks here on the forum and they run from .012" to .017". Can they be a little higher than say a road course where the tires need to slide easily over the rail? Would very much appreciate any input on this, Thanx! Went ahead and laid down a couple pieces of the old drag track just for a visual. The plan for the new drag track will be 8.5" wide, same as what Track Mate offers. Made a little rack to hold the CPU, Arduino and the power supply. The noise level on the power supply is a lot less noticeable tucked under the table . Saw a thing on utube where a guy made a monitor stand out of a bar clamp so I figured a 3/4" pipe clamp should work just as good. I had the pipe, flange & clamp layin' around in the shop. It works great for my needs! Easy height adjustment & spins around easily for the road coarse. I have to get the road coarse dialed in for the annual Thanksgiving Day race. The kids and I have raced HO every Thanksgiving for the last 40 years. About the only time it gets used any more but it's worth having set up for that . Sounds like fun having an annual race. Doing it for 40 years sounds like a tradition! Pretty much a tradition, we've missed a couple years in there somewhere, I think. For the last 20 years or so, we have anywhere from 17 to upper 20's of dinner attendants. Usually a half dozen or more participate in the racing. Pretty relaxed and always fun! I really like that set up. Nice and cozy with a work space right next to the track. Now that I have my truck out of the garage, I am contemplating moving the track to the wall instead of down the middle of the garage. Then I can at least pull a car in if I needed to. I really wish it was in a conditioned space. Maybe someday. I also might set up a road course as well. I like yours....nice tight little track. Thanks Jeff! I've found over the years, having various layouts, that a "tight little track", makes for closer racing and more enjoyable for all participants ..... for lots of different reasons but that could be very different for other folks. And yes, for the space available, this projected layout of the basement will offer a much better flow for the goings on. I still like to road race a bit but am really getting addicted to this drag race thang . Getting anxious to get the drag track going again and look forward to hopefully hosting a proxy race once it's all dialed in. 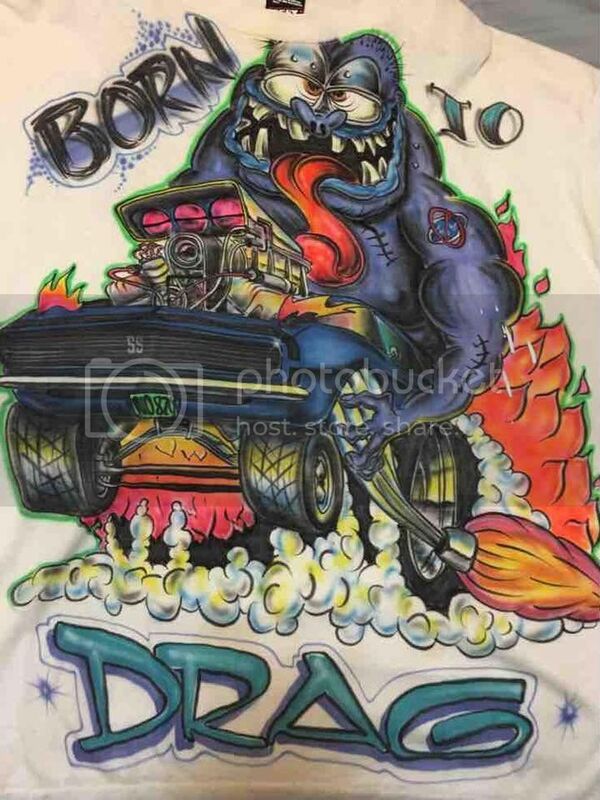 My job is to get you as hooked as possible on the proxy drag racing anyway...lol. Oh I just saw the paint booth right there as well....very nice. I agree with the your thoughts on the tight road course. Was able to get 4 pieces of track slotted and cut out today. Have 2 more pieces to do yet. The 4 were fabbed from a 1/2" x 36.25" x 49" piece of MDF. Painted with 2 coats of BIN shellac based primer and 2 coats of Rustoleum 'Smoke Gray' oil based gloss enamel. 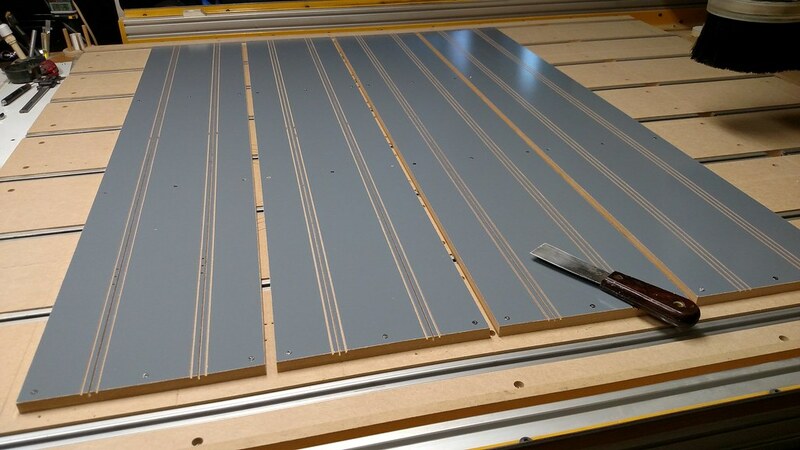 Each track piece is 1/2" x 8.5" x 48". Here's a couple of them laying on the table. would like to know where you get the wire for the rails from. Thanks fellas, I really appreciate the input and encouragement. Learned a lot from the mistakes I made on the last one I built so am trying to make some better decisions this time around. It was the best price, for a smaller quantity, that I'd ever found. I did notice it is .094" tall rather than the .103" that it was advertised as, which is plenty. It was free shipping for me here in the states so not sure what it would be for you. It's a lotta wire for less than $20 and it's pretty heavy too. 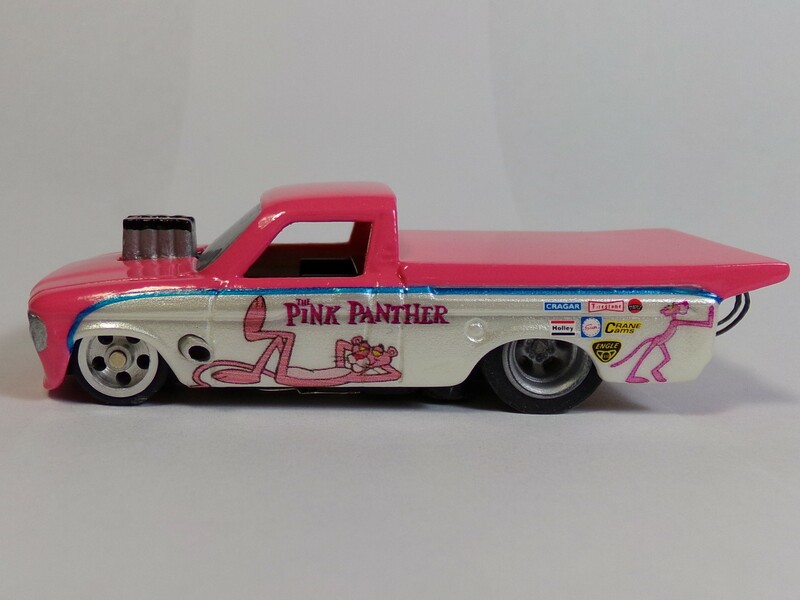 PM me if you can't get hooked up with this ebay seller for shipping. A picture of the roll I got. Only took 4 or 5 inches off for testing. Also, don't know if this makes any difference or not, but I had mentioned earlier that I used an .050" weed whacker line for the lock wire. I still am but thru a lot of testing found I had to widen the slot to .069" wide with two passes using a 1/16" router bit. That was easy with a CNC, not sure one could maintain that accuracy with a hand held router. With the .069" wide x .082 deep slot, it allowed for easier installation and still held the stiching wire solid. Could not pull it out with a 1/4" x 1" neo magnet. Any more questions please ask. Will be glad to share the limited info I have. Thanks for the info! There are 1.75mm end mill bits out there that would work as they are .0689 diameter. What size did you rout the guide slot?